Imagine you're sitting in traffic in Los Angeles on a hot day. 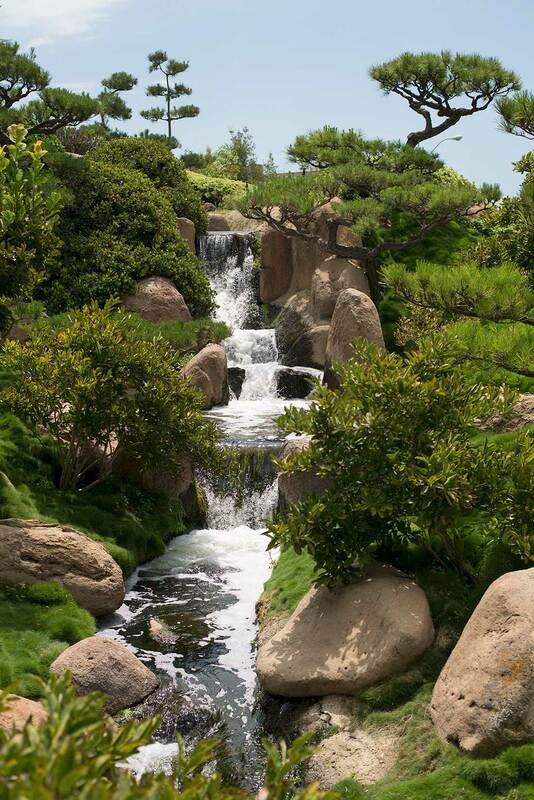 It's time to take a break and head for a cool, green oasis - the superb Suihoen Japanese Garden in nearby Van Nuys. The 6 1/2-acre garden is a refreshing, relaxing break from the congestion of LA's highways. You can stroll through a dry Zen meditation garden, around a small lake and past streams and through a traditional Japanese teahouse. 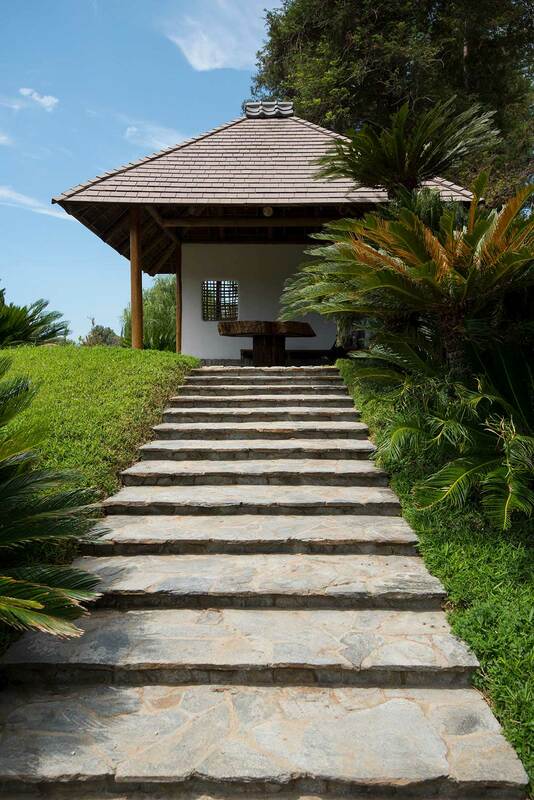 Then climb a hill, enjoy a cool waterfall and stop to rest in a rustic hilltop pavilion while you look out over the entire garden. On your way back to the entrance, walk over a winding zigzag bridge. Finally, you climb to another look out where you can see the garden from above and ... the pipes of a water reclamation plant? 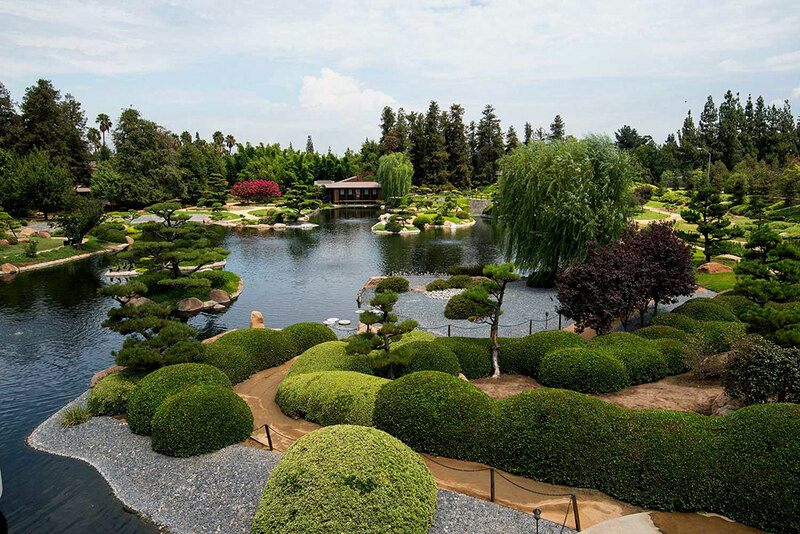 In additon to being one of the best Japanese gardens in the United States, the Suioen Garden is built next to the Tillman Water Reclamation Plant and is fed by water from the plant. 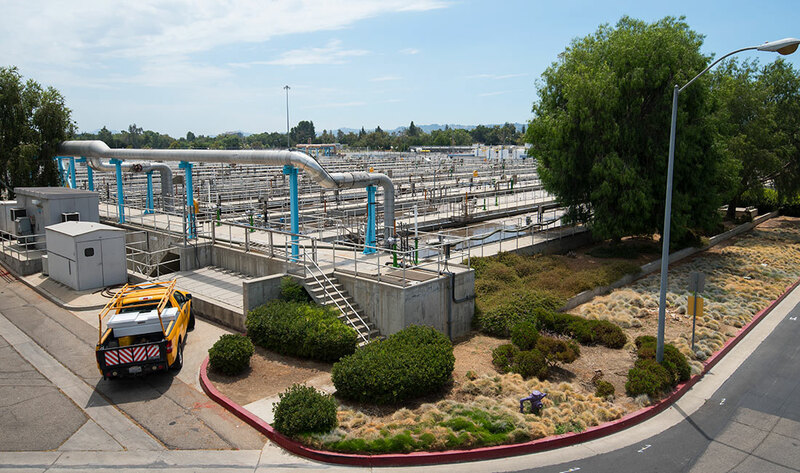 Its purpose is to demonstrate a positive use of reclaimed water in a delicate nature environment. 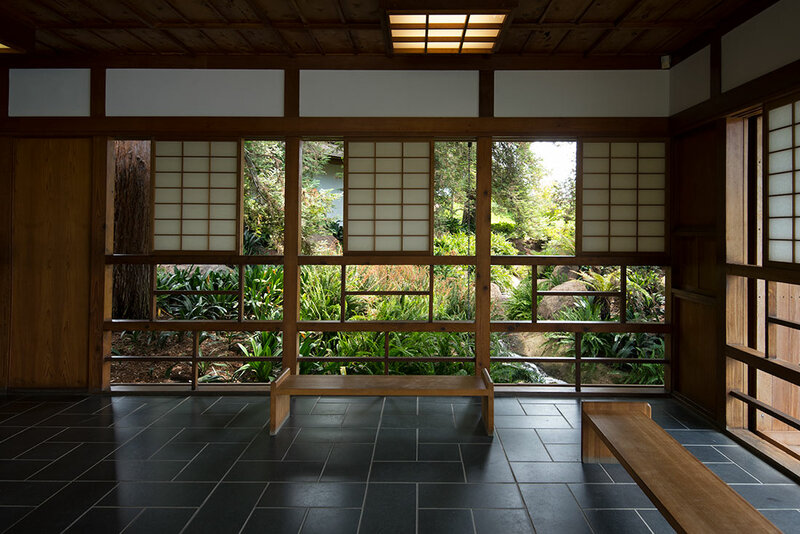 The garden was designed by Koichi Kawana, who pioneered the designing of Japanese gardens outside of Japan using plants indigenous to the areas in which they were created. The plant services almost a milliion people west, north and northeast of the plant, including residential, industrial and commercial sectors. The Tillman Water Reclamation Plant next to the Japanese garden. The garden, which has been a backdrop in a variety of films including Star Trek and is the site of various seasonal festivals, is the perfect place to learn about the basic elements of a Japanese gerden. Several stone lanterns from Japan, including this one, are in the garden. The water basin on the right is another traditional element of the garden. In Japan, such a basin would be used by guests to wash their hands befroe entering a teahouse. 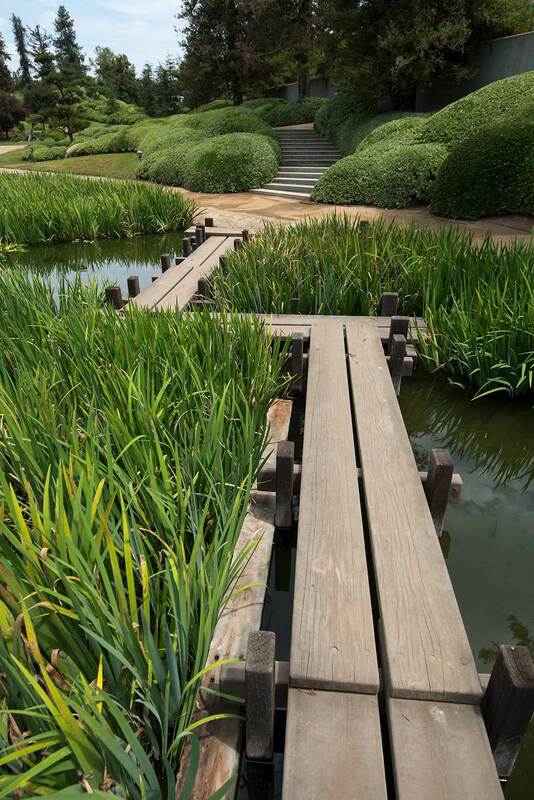 The stepping stone path is another common feature of Japanese gardens. This building in the garden for receptions and other events provides a view of the greenery in the garden beyond. 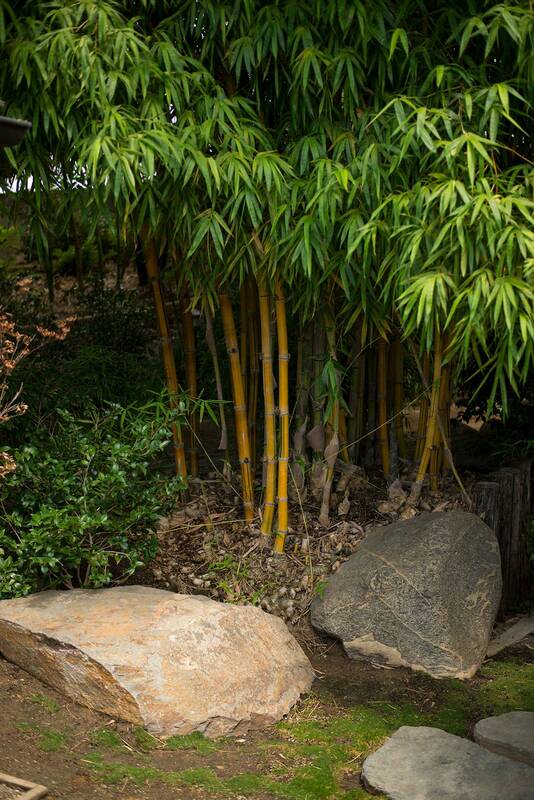 Bamboo and rocks are common features in Japanese gardens. Water is an essential part of a Japanese garden, in waterfalls, ponds and symbolically in dry gardens with rock or gravel stream beds. 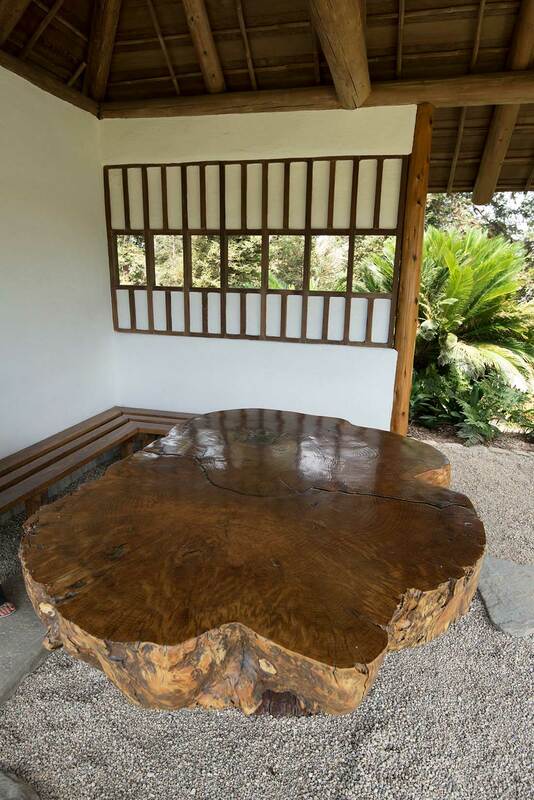 The hilltop pavilion shown in this and the next photo holds a large wooden table made in the natural style of Japanese American woodworker George Nakashima and other woodworkers who allow the natural edges of a piece of wood to determine the shape of a piece of furniture. While most of the garden is traditional, the design also makes use of concrete structures associated with the water reclamation plant . 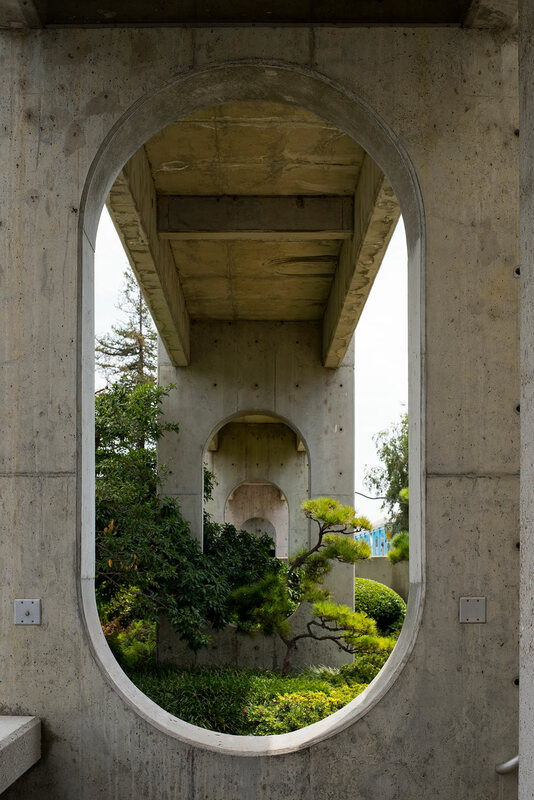 Here, a concrete bridge structure is interspersed with sections of the garden underneath it. 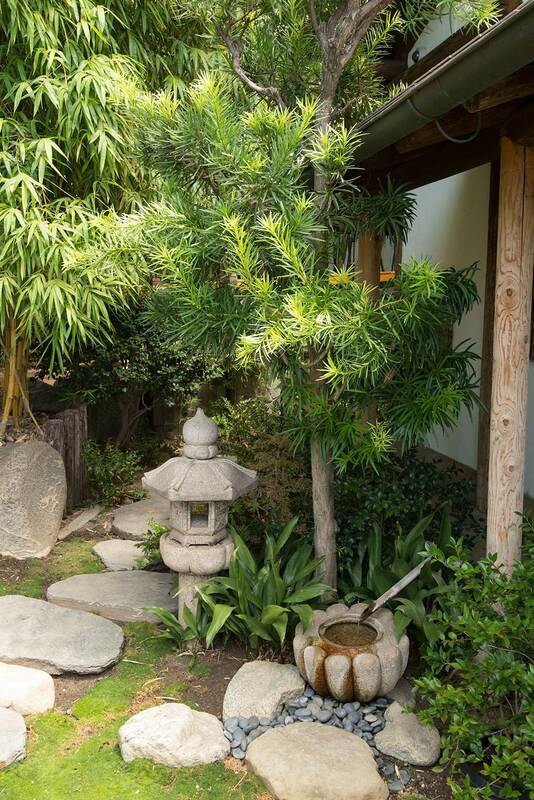 Buy stock photos of this Japanese garden. 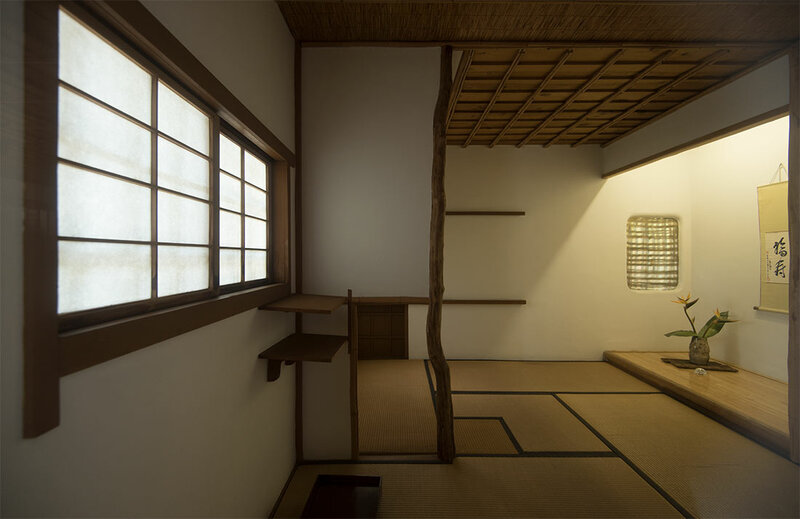 Donna Rouviere Anderson and Forrest Anderson are writing a book about Japanese design.